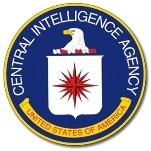 The Central Intelligence Agency (CIA) has long been the nation’s top spy agency responsible for uncovering information about threats to the United States and carrying out operations to neutralize such threats. Born at the beginning of the Cold War, the CIA came of age at a time when the U.S. was in constant fear of being taken over by the Soviet Union, which produced a legacy of dirty deeds by the agency. Critics have questioned the effectiveness of the cloak-and-dagger agency, especially in recent times when former officials were caught selling American secrets to Russia, and the CIA leadership failed to warn of the attacks that were carried out on Sept. 11, 2001. That failure caused the CIA to lose some of its standing in Washington D.C., although the agency has worked hard to rebuild its trust by implementing some of the most controversial plans in the Global War on Terrorism campaign. It scored a success in 2011 with the U.S. killing of Osama bin Laden, who was located in Pakistan, after more than a decade of intelligence tracking by the CIA. The predecessor to the Central Intelligence Agency (CIA) was the Office of Strategic Services (OSS), created by President Franklin Roosevelt in 1942 to help the military garner intelligence in its battles against German, Italian and Japanese forces in World War II. The OSS reported to the Joint Chiefs of Staff and never possessed the broad intelligence-gathering mandate that the latter CIA enjoyed. The military branches continued to maintain their own spying operations, while the FBI maintained its jurisdiction over domestic counter-espionage. The OSS’s creator and director, William Donovan, submitted to President Roosevelt in late 1943 a plan that would have separated the OSS from the Joint Chiefs of Staff and had it report directly to the President. Donovan’s idea also would have made the OSS a more powerful and centralized intelligence operation, instructed to “procure intelligence both by overt and covert methods,” determine national intelligence objectives and pull together all intelligence gathered by other government agencies. The heads of the military balked at turning over their espionage and counter-espionage operations to the OSS, but Roosevelt’s successor, Harry Truman, agreed that the U.S. needed a stronger intelligence network to combat efforts by the Soviet Union to expand its influence in strategic regions. In October 1945, two months after the end of World War II, the OSS was abolished and its functions transferred to the State and War Departments. This move was only temporary, as Truman established the Central Intelligence Group (pdf) in January 1946 to coordinate intelligence gathered by federal departments and to compliment these efforts by acquiring its own leads and details on foreign targets. The Central Intelligence Group operated under the direction of the National Intelligence Authority composed of a Presidential representative and the Secretaries of State, War and Navy. Rear Admiral Sidney Souers, U.S. Naval Reserve, who was the deputy chief of naval intelligence, was appointed the first Director of Central Intelligence. Truman and his people weren’t entirely satisfied with this intelligence set up, and so in 1947 the Central Intelligence Group was replaced under the provisions of the landmark National Security Act of 1947 (pdf) with the Central Intelligence Agency (CIA). The act also created the National Security Council (NSC). The 1947 National Security Act largely mirrored what Donovan called for in 1944 for the OSS. It charged the CIA with coordinating the nation’s intelligence activities and correlating, evaluating and disseminating intelligence affecting national security. In addition, the CIA performed other duties instructed by the NSC as long as those actions did not require it to conduct any kind of domestic spying on Americans, which was forbidden. Two years later, the Central Intelligence Agency Act of 1949 established the policy of making the CIA’s budget secret from almost all government officials, making it difficult for members of Congress to maintain any kind of effective oversight of the agency’s clandestine operations. The same legislation exempted the CIA from having to disclose details about its organization, including names, titles, and salaries of employees. With these rules in place, and an ever-growing worry over the perceived threat of Soviet spies targeting American interests, the CIA wasted little time in doing its part to implement the Truman Doctrine and get involved in clandestine operations that would come to define— and leave a legacy of ashes— during the Cold War. In fact, only one year after it was created, CIA officials embarked on a domestic operation— in spite of its own originating legislation not to—known as Operation Mockingbird that sought to influence American media by recruiting highly respected members of the press to either join the CIA or secretly help it shape the news. CIA operatives also focused on conditions inside Greece in the late 1940s to assess and thwart Communist efforts to seize control of the country’s central government. It was the early 1950s that the CIA began to concentrate on covert operations. In 1951, Iran’s parliament decided to nationalize its oil industry, which, until then, had been under the control of British petroleum companies. The seizure of the oil fields was endorsed by Iran’s newly elected prime minister, Mohammed Mossadegh, whom the U.S. and British officials decided to target for overthrow. The CIA successfully carried out a clandestine operation that toppled Mossadegh in 1953 and installed Shah Mohammed Reza Pahlevi in power, where he remained for the next 25 years until the Iranian revolution of 1979 forced the Shah out, leading to the seizure of the American embassy and 52 American hostages and leaving U.S.-Iranian relations in shambles for the next 30 years. Because of its success in Iran, the CIA was emboldened to carry out another coup two years later in Guatemala. After the country’s president began to implement land reforms that threatened the holdings of the United Fruit Company, corporate officials went to the Eisenhower administration for help. The CIA’s Operation PBSuccess eliminated President Jacobo Arbenz and installed a US-friendly government that not only restored United Fruit’s interests, but also left a legacy of bitter fruit and death squads for Guatemalans. Being two-for-two, CIA officials weren’t at all reluctant to take on another, even larger leftist target in Cuba once the Kennedy administration gave the go-ahead for the Bay of Pigs operation in 1961. That operation— aimed at removing from power the Communist government of Fidel Castro— was an unmitigated disaster for President Kennedy. But the failure didn’t slow down the CIA from trying to reshape other governments around the world. In the same year of the Bay of Pigs failure, the CIA played a role in the assassination of President Rafael Trujillo of the Dominican Republic, and in 1965, operatives in Indonesia helped replace the leftist Sukarno with the rightist Suharto, whose oppressive regime led to the massacre of an estimated one million Indonesians. The CIA’s involvement in Vietnam from the early 1960s until the mid 1970s was another opportunity for the agency to conduct activities of a “questionable” nature. When the Kennedy administration grew weary of South Vietnamese President Ngo Dinh Diem, the CIA offered intelligence assessments on the prospects of a coup to remove Diem, which subsequently came about at the hands of the Vietnamese military. Even worse, the CIA implemented one of its most controversial operations with the Phoenix Program, in which supporters of the Communist insurgency in South Vietnam were targeted, tortured, and in some cases assassinated. CIA spies also worked in neighboring Laos, Cambodia, and Thailand. In Laos, CIA agents helped arm and train the Hmong people to fight a secret war against the country’s leftist government. That operation failed to destabilize the Communists in power and left many Hmong either dead or forced to flee the country for the United States. In the 1970s, the CIA’s nefarious conduct finally was exposed as a result of several investigations, including the Senate Select Committee to Study Governmental Operations with Respect to Intelligence Activities, otherwise known as the Church Committee, after its chairman, Sen. Frank Church (D-Idaho). Church’s committee reports uncovered a dark treasure trove of illegal and unethical conduct by CIA agents that ranged from spying on Americans to assassinating foreign leaders. In the wake of the agency’s public exposure, Democratic President Jimmy Carter cut funding for the CIA, leaving the future of the spy office in doubt. For the CIA’s Cold Warriors, the best thing that could have happened was the election of Ronald Reagan to the White House in 1980. An ardent anti-Communist, Reagan had no qualms about unleashing the CIA to carry out espionage and other secret missions to support U.S. foreign policy. He entrusted the leadership of the much-maligned agency to his campaign manager, William Casey, who had worked for the OSS as a young man during the Second World War. Casey expanded the agency’s spy operations and reinstituted covert operations in strategic countries, such as Afghanistan (helping the mujahedeen battle the Soviet army), Poland (encouraging the Solidarity movement) and Nicaragua (undermining the leftist Sandinista government). The CIA’s activities in Nicaragua led to accusations that agents allowed Contra rebels fighting the Sandinistas to run narcotics that wound up on American streets, and that Casey was involved in the illegal diversion of monies from secret arms sales to Iran to help finance the Contras. Casey, however, died in 1987 from a brain tumor before the Iran-Contra independent prosecutor, Lawrence Walsh, could interview him about his role in the scandal. Because of the turmoil of Iran-Contra, CIA leadership after Casey failed to address speculation that the agency had a Russian spy, or “mole,” working inside it. During the 1980s, several important American spies operating in Soviet-bloc countries disappeared, and some intelligence officials worried that a turncoat had given the spies’ identity to the USSR. It wasn’t until 1994 that the FBI finally seized Aldrich Ames, one of the CIA’s top men and head of the agency’s counter-espionage division, who had been paid $2 million to deliver a huge cache of sensitive information about CIA operations to the Russians. Lawmakers in Congress were outraged by the CIA’s incompetence in not discovering Ames sooner. Three years later, an even higher-ranking CIA official, Harold James Nicholson, was caught selling U.S. intelligence to Russia. In addition to the exposure of Soviet moles, the agency suffered other embarrassing intelligence lapses as it struggled to reorient itself after the end of the Cold War and warn U.S. officials of the new threat: Islamic terrorists. Again and again, the CIA failed to uncover attacks against U.S. targets, from the 1993 World Trade Center truck bombing to the 1998 twin attacks against US embassies in Tanzania and Kenya to the 2000 attack on the USS Cole. Two of the aforementioned attacks happened on the watch of Director of Central Intelligence George Tenet, who served under both President Bill Clinton and George W. Bush, one of the few CIA directors to serve under two presidents from different parties. Tenet’s shop came under even more criticism following the attack on Sept. 11, 2001, as officials in Washington D.C., were astonished that such a large and complicated undertaking could be carried out without the CIA hearing about it beforehand. After the 9/11 commission released its findings about the attack and the failure of U.S. security agencies, including the CIA, to thwart it, President Bush and Congress adopted reforms that dramatically altered the agency’s role in national intelligence. The post of director of central intelligence was eliminated, with the CIA now led by a director who reported to the newly created Director of National Intelligence instead of to the President. But the CIA did not cease from playing a vital role in the Bush administration’s effort to go after Islamic terrorists. Shortly after 9/11, the CIA established secret prisons in foreign countries to house and interrogate suspected terrorists (see Controversies), and agents played a role in torturing detainees at Guantanamo Bay. Under the administrations of both George W. Bush and Barack Obama, the CIA has maintained key intelligence and military roles in the war in Afghanistan, which includes an increased use of controversial CIA drone strikes against Taliban and al-Qaeda targets along the neighboring Pakistan border. (Drone production makes up $4.8-billion of the U.S. military budget.) U.S. relations with Pakistan have been strained as Pakistan has protested the drone attacks within its borders, which reportedly have killed a large number of civilians in collateral damage. Tensions were further fueled by the January 2011 murder of two Pakistani men by a CIA contractor, and the secret U.S. military incursion into Pakistani in May to kill Osama bin Laden. As evidence of deteriorating relations between the two countries, Pakistan ordered the closing of three intel fusion cells, Pakistani liaison centers designed for U.S. intelligence-sharing pertaining to insurgent strongholds. CIA operatives were also sent into Libya in early 2011 to meet with rebels and gather intelligence in support of NATO airstrikes against the forces of Colonel Moammar Khadafi. An increasingly militarized CIA found itself with a U.S. Army General at its helm, as David Petraeus replaced Leon Panetta as head of the agency in September 2011. Once America’s premier spy agency, the Central Intelligence Agency (CIA) continues to play a key role in the country’s pursuit of information that warns of threats to the United States, its citizens and vital interests. The CIA is responsible for collecting intelligence through human sources (spies) as well as various forms of technology. The agency passes on the information it gathers to members of the Intelligence Community and to the Director of National Intelligence. The CIA Crime and Narcotics Center, which collects and analyzes information on international narcotics trafficking and organized crime for policymakers and the law enforcement community. The CIA Weapons, Intelligence, Nonproliferation, and Arms Control Center, which provides intelligence support on strategic threats involving foreign weapons. The Counterintelligence Center Analysis Group, which identifies, monitors and analyzes foreign intelligence operations that try to spy on U.S. persons, activities, and interests. The Office of Terrorism Analysis, which serves as the analytic component of the CIA Counterterrorism Center. The office tracks terrorists, assesses their vulnerabilities by analyzing their ideology and goals, capabilities, associates and locations, analyses worldwide terrorist threat information and patterns to provide warnings aimed at preventing terrorist attacks, monitors worldwide terrorism trends and patterns, including emerging and nontraditional terrorist groups, evolving terrorist threats and possible collusion between terrorist groups and identifies, disrupts and prevents international financial transactions that support terrorist networks and operations. The Office of Asian Pacific, Latin American, and African Analysis, which studies the political, economic, leadership, societal and military developments in Asia, Latin America, and Sub-Saharan Africa. The Office of Collection Strategies and Analysis, which provides comprehensive intelligence collection expertise to the DI, a wide range of senior CIA and Intelligence Community officials and key national policymakers. The Office of Iraq Analysis, which provides multidisciplinary intelligence analysis on Iraq to the President and his top advisors. The Office of Near Eastern and South Asian Analysis, which provides policymakers with comprehensive analytic support on Middle Eastern and North African countries as well as on the South Asian nations of India, Pakistan, and Afghanistan. The Office of Russian and European Analysis, which provides intelligence support on Russia and Europe. The Information Operations Center Analysis Group, which evaluates foreign threats to U.S. computer systems, particularly those that support critical infrastructures. The Office of Policy Support, which customizes DI analysis and presents it to a wide variety of policy, law enforcement, military and foreign liaison recipients. The Office of Transnational Issues, which utilizes a broad range of experts to address threats to U.S. energy and economic security, illicit financial activities, societal conflicts, humanitarian crises, global health and the strategic military and global information environment. The Sherman Kent School for Intelligence Analysis, which serves as the DI’s component of CIA University and provides basic analytic training and more advanced courses in specialized skills. The Career Analyst Program is the DI’s basic training program and introduces all new employees to the basic thinking, writing and briefing skills. Segments include analytic tools, counterintelligence issues, denial and deception analysis, and warning skills. The Kent School also offers a wide range of intermediate- and advanced-level training for analysts and managers on analytic methodologies, substantive issues, and leadership skills. The Global Futures Partnership, which functions as the CIA’s think tank, or as the agency puts it, a strategic “think and do tank.” It conceptualizes and implements interdisciplinary and multi-organizational projects on key intelligence issues with leading thinkers from academia, business, strategy, and intelligence consultants. National Clandestine Service operates the CIA covert operations and conducts counterintelligence and special activities as authorized by the President. Once known as the Directorate of Operations, the clandestine service houses the CIA’s elite spies and coordinates the human intelligence (HUMINT) services which involve working with other agencies including the FBI, the Diplomatic Security Service, Defense Intelligence Agency, Air Intelligence Agency, Army Intelligence and Security Command, Marine Corps Intelligence Activity and Office of Naval Intelligence. Directorate of Support is, as its name implies, the CIA’s support wing that performs various duties to help the agency carry out its missions. It builds and operates facilities and communications networks and secures CIA buildings, people, data and networks from threats. The directorate also hires, trains and assigns CIA officers for every directorate in the agency and manages the CIA’s business contracts and acquisitions, financial services, administrative support, and phone company. Because the Central Intelligence Agency (CIA) budget is classified, there are no public records of how the agency spends its money. Even the Government Accountability Office, the federal government’s top watchdog agency, has not audited the CIA since the 1960s due to restrictions on the agency’s financial data. It has been reported that the CIA has paid for contractors—who make up one third of the agency’s workforce—to help conduct its missions. According to one published account, some contractors have worked with detainees held in Afghanistan, and in one instance, a contractor was convicted of murdering an individual held in custody on a US military base (see Controversies). Former CIA Director Michael Hayden testified before Congress in 2008 that some contractors have participated in “enhanced interrogation techniques” (a.k.a. torture). During his first week as U.S. President in 2008, President Barack Obama banned the CIA’s use of such interrogation methods. It also has been reported that Booz Allen Hamilton, a private firm that specializes in intelligence-related services for the U.S. government, has provided extensive services to the CIA. The company claims to provide war-gaming, data-mining, analysis of imagery and intelligence picked up by U.S. spy satellites and design of code-breaking systems. Another company that has performed work for the CIA is Tepper Aviation, whose fleet of transport planes have been used to fly detainees to secret prisons run by the CIA. The agency has also used Aero Contractors Ltd. for such operations. Hayden publicly stated that he intended to hire fewer contractors in response to pressure from Congress to cuts costs within the agency. The initiative sought to reduce the contractor workforce by 10% by the end of Fiscal Year 2008 and end the practice of “bidding back,” in which employment agencies hire retired CIA employees and sell their services back to the agency while they collect their government pensions. In April 2009, CIA Director Leon Panetta announced his decision to ban the CIA’s use of contractors for prisoner interrogations and security. In late 2007, revelations surfaced that the Central Intelligence Agency (CIA) had destroyed tapes of overseas interrogations of terrorism suspects that showed agents using a simulated form of drowning known as waterboarding. The destruction was ordered by the agency’s then-head of its National Clandestine Service, Jose Rodriguez, after receiving a request from the CIA’s station chief in Bangkok in 2005 if to destroy recordings that had been made in 2002. The station chief was insistent because he was retiring and wanted to resolve the matter before he left. Rodriguez’s decision to order the tapes destroyed came in spite of advice from other senior CIA and White House officials who claimed they had told the clandestine chief to preserve all records. Rodriguez said CIA lawyers and other officials told him that he had the legal right to order the destruction. Until 2006, Christine Axsmith was a software contractor for the CIA who wrote a blog that was only accessible to other CIA workers. A self-described Erma Bombeck of the intelligence world, Axsmith wrote about everything from the economy to the quality of food in the CIA cafeteria. Then one day she posted her feelings about waterboarding—namely, how wrong it was—and her blog was taken down. Furthermore, she was fired by her employer, BAE Systems. When details of the CIA’s 2003 capture of an Islamic cleric in Milan surfaced, Italian authorities were outraged by the kidnapping. Prosecutors began collecting evidence to build a case that the 23 operatives should be brought back to Italy and tried on charges of kidnapping. They were eventually convicted of kidnapping and sentenced to prison in absentia. Among the details that the Italians discovered was that the CIA agents spent lavishly while they posed as businessmen and secretly planned their seizure of Hussan Mustafa Omar Nasr (a.k.a. Abu Omar). The Americans stayed at some of the finest hotels in Milan, sometimes for as long as six weeks, ringing up tabs of as much as $500 a day on Diners Club accounts created to match their forged identities. Then, after abducting Omar and flying him to a secret prison in Cairo—where he later claimed he was tortured daily for seven months--some agents spent long weekends in Venice and Florence before leaving the country. Italian prosecutors had no trouble retracing the steps of the agents because they left a long trail of paper and electronic records, including making phones calls from unsecure phones in their hotel rooms. One of the alleged CIA operatives, Sabrina De Sousa (who resigned from her agency job in February 2009), appeared in a U.S. federal district court in May 2011 in connection to her lawsuit against the U.S. government for not protecting her with diplomatic immunity. She noted that the abduction of Omar had been “unnecessary” because he didn’t pose a threat. The CIA in 2007 brought back a longtime intelligence officer who left after then-Director Porter Goss tried to break up what he called the “old boys network” dominating the agency. Michael Sulick was placed in charge of the CIA’s National Clandestine Service, the office that runs covert operations. When Goss took over the agency, he sought to revitalize the clandestine service and weed out “dead wood” operators. But he ran into fierce opposition from the likes of Sulick and others who had cut their teeth spying on the Soviet Union. In the early 1980s, retired CIA agent Edwin Wilson was convicted of selling arms to Libya and spent the next 20 years in prison. All along, Wilson maintained that his actions were not only known by CIA officials, but encouraged as a way for the U.S. to build bridges with Libyan intelligence officers. In 2003, Wilson won a major victory when a federal judge in Texas threw out Wilson’s conviction that he had conspired to ship 20 tons of a powerful plastic explosive known as C-4 to Libya in 1977. Since being released from prison, Wilson has filed a civil suit to clear his name and prove that CIA officials lied when they denied knowing about Wilson’s arms dealings. In 2004 Congress quietly added language and funding to the Intelligence Authorization Act to create a pilot program known as the Pat Roberts Intelligence Scholars Program (PRISP). Named after Sen. Pat Roberts (R-Kansas), chairman of the Senate Select Committee on Intelligence, PRISP was designed to train intelligence operatives and analysts in American university classrooms for careers in the CIA and other agencies. PRISP operates on an undisclosed number of American college and university campuses. If the pilot program proves to be a useful means of recruiting and training members of the intelligence community, then lawmakers may expand it to more campuses across the country. David Passaro, a contract employee for the CIA, made headlines in 2004 when a North Carolina grand jury accused him of beating an Afghan prisoner to death at a U.S. military base. Passaro was the first American civilian to be charged with mistreating a detainee during the wars in Afghanistan and Iraq. He was accused of beating Abdul Wali while the man was being questioned in 2003 about rocket attacks on a remote base where Passaro was stationed with U.S. and Afghan troops. Two years later, Passaro went to trial, but he was not convicted of murder. Instead, he was found guilty of three counts of simple assault and one count of assault resulting in serious bodily injury. He was sentenced to eight years in prison. In the wake of the 9/11 attacks, the Central Intelligence Agency (CIA) was scrutinized for not uncovering the plot to hijack American airliners. Lawmakers punished the agency by downgrading its leader, the Director of Central Intelligence, to an agency head reporting to the new Director of National Intelligence instead of to the President. Porter Goss, a former Republican Congressman, was put in charge and ordered to implement changes within the CIA to clear out its “dead wood” and improve its network of spies. The Directorate of Operations, in charge of covert operations, was reorganized and renamed the National Clandestine Service. Following the retirement of Goss, U.S. Air Force General Michael Hayden was put in charge of the CIA. Hayden oversaw the emptying of secret CIA prisons and the transfer of al-Qaeda detainees to U.S. military custody. Under his watch, the CIA reportedly abandoned the practice of waterboarding. Hayden also agreed to expand the number of lawmakers receiving classified briefings on the agency’s counterterrorism programs. Previously, briefings about the most sensitive CIA operations had been limited to four lawmakers—the top Democrat and Republican on the House and Senate intelligence committees—who were prohibited by law from sharing details with others, including their staff members. Critics on Capitol Hill contended that the CIA had not gone far enough to improve its operations or clean up its act. “The Bush administration’s embrace of torture and secret detentions has led our country down a dark hallway,” said Sen. Sheldon Whitehouse (D-Rhode Island), who sponsored legislation to restrict CIA interrogations, including banning the CIA from using contractors to question detainees. Indeed, CIA Director Panetta announced such a ban in 2009. Another change proposed by Congress and signed into law by President Obama was the requirement of prompt notification of the International Committee of the Red Cross when a new prisoner enters CIA custody, and the granting of Red Cross access to that detainee. Obama also issued an executive order banning coercive interrogation practices, including waterboarding. President George W. Bush has previously vetoed a Congressional bill that sought to limit CIA interrogators to a shortlist of Army-approved tactics. Hayden had opposed many of the restrictions sought by lawmakers. He said that while Congress is free to ban specific techniques such as waterboarding, it would be a mistake to publicly limit the CIA to using only the interrogation tactics spelled out in the Army Field Manual because it would allow al-Qaeda and other terrorist groups to know in advance what to expect if captured. The CIA played important, and controversial, roles in President George W. Bush’s attempts to combat terrorist threats against the United States after the 9/11 attacks. Early in the administration’s first term, decisions were made to avoid the restrictions of 1996 U.S. War Crimes Act by keeping terrorist suspects out of U.S. territory and instead house them either at U.S. military bases, such as Guantanamo Bay, Cuba, or secret facilities in Afghanistan, Thailand, and Eastern Europe. CIA officers were charged with ensuring the transport of these detainees and interrogating them at hidden locations. As news broke of the existence of the secret prisons and uses of torture, a fierce public discourse erupted between the administration and its Republican supporters and Democrats and civil libertarians over these activities. The Bush administration had claimed that the United States has been in a state of war since the attacks on the World Trade Center and Pentagon in 2001. Using the rationale “desperate times call for desperate measures,” Bush supporters set out to do whatever was required to make sure terrorists were stopped before they could launch more attacks and spill more American blood. In some respects, the arguments were not unlike those put forth during the Cold War with the Soviet Union, when CIA officers secretly employed questionable means to stop Communist advances on U.S. security and interests. With regard to maintaining secret prisons to jail terrorist detainees, the CIA was right to do so in order to make sure these dangerous individuals were prevented from carrying out their plans and forced to divulge all they knew. As for the types of interrogation used by CIA officers and contractors, nothing illegal was done, according to the Bush Justice Department, which issued legal opinions that justified waterboarding and other means. The CIA was also right to destroy tapes of interrogations, according to former Director Michael Hayden, because were they ever to leak, they would reveal the identities of CIA agents who would then be subject to retaliation by terrorists. Regardless of how terrible the 9/11 attacks were, the CIA has no business carrying out acts that are not only illegal under US law but international covenant as well, including the Geneva Conventions to which the US is a signatory. Groups like Amnesty International have expressed outrage at the clandestine behavior of CIA officers, arguing that these actions undermine the reputation of the American people and the sanctity of the American democratic and legal process. What will there be left to defend, opponents argue, if, in the name of defending democracy, there is no standard of law that has not been compromised for the sake of ensuring safety and security? Furthermore, opponents wonder just how effective secret imprisonment or interrogations are in protecting America from terrorists if only a select few officials know what really goes on behind closed doors. In such situations, opportunities for mistakes and subsequent cover-ups are ripe for the taking. In his first week in office as President, Barack Obama banned the CIA’s use of “enhanced interrogation techniques” (torture). His plan to close the U.S.’s controversial Guantanamo Bay Prison in Cuba was scuttled when Congress thwarted his efforts to bring some of its prisoners to trial on U.S. soil. To the dismay of human rights advocates, he has continued President Bush’s use of extraordinary rendition, modifying the policy with greater oversight to ensure that torture is not employed. In April 2009, CIA Director Leon Panetta announced his decision to ban the CIA’s use of contractors for prisoner interrogations and security. A native of Pittsburgh, Pennsylvania, General Michael V. Hayden, United States Air Force, served as the 18th Director of the Central Intelligence Agency from May 2006 until February 2009. Hayden holds a Bachelor of Arts degree in history and a master’s degree in modern American history from Pittsburgh’s Duquesne University. Hayden began his military career in 1969 after completing the Reserve Officer Training Corps program. He has held senior staff positions at the Pentagon, the National Security Council and the U.S. Embassy in Sofia, Bulgaria. He also served as deputy chief of staff for United Nations Command and U.S. Forces Korea. From May 1993 to October 1995, Hayden served as director of the Intelligence Directorate for the U.S. European Command in Stuttgart, Germany. Hayden was commander of the Air Intelligence Agency and director of the Joint Command and Control Warfare Center, both headquartered at Kelly Air Force Base, Texas, from January 1996 to September 1997. From March 1999 to April 2005, Hayden served as director of the National Security Agency and chief of the Central Security Service (NSA/CSS) at Fort George G. Meade, Maryland. He was then promoted to first principal deputy director of National Intelligence, during which time he received his fourth star, making him the highest-ranking intelligence officer in the military. While heading the NSA, Hayden oversaw the implementation of the government’s secret, illegal taping of telephone calls without warrants from the Foreign Intelligence Surveillance Court. During his nomination hearings, Hayden defended his actions by stating that he had relied upon legal advice from the White House which insisted the President had the power under Article Two of the Constitution to order the wire-tapping without need of warrants or permission from Congress. I am a Pakistani living in United States since last 22 years. I feel very bad watching my country and other Islamic countries getting hostages by the fundamentalists for their ulterior motives. MICRO BANKS IN PAKISTAN Younger people who are educated and jobless are becoming victims of fundamentalists. On the other side non-recognition and lack of formal status in the society the religious group is joining the extremist where they think would be getting recognition, respect and reward which does not come true. Once they enter this one way street, they keep drowning into it. An average Pakistani does not trust Government and this lack of trust most of the time leads to lack of obedience and joining the anti-government groups expecting economic independence. If a micro bank service is started for lower class (roots) to provide them means to earn their living by providing business loans, it will turn the tables. On the other side un-recognized and ignored but knowledgeable segments of the society i.e. Religious Leaders in small communities be involved in loan processing would give them respect and recognition and additional source of income as well. The idea can be test marketed in a small city somewhere covering the following segments: Women Business Centers – run by women Small business for lower class. A loan of 100,000 to 5,00,000 Pak Rupees (1000 to 5000 dollars) will do miracles for economic development and will bring the followings; Eradication of Extremists from the society. Involve jobless segment into economic productivity Involve average and majority of small area Mosque’s Chief into a productive, respectful and recognized life including bringing a respectable economic gain for the family. Such loans must be offered on profit sharing – interest free to maximize its acceptance by the society. I have no idea why but I have always (since I was a little girl) had this obsession/desire/interest about wanting to become a secret spy for the Central Intelligence Agency. I don't know what exactly drew me in first but I have felt this way for as long as I can remember. Someone very close to me recently retired from the Central Intelligence Agency and I have admired him my whole life for that reason! I guess I am hoping one day I will be able to work for the Central Intelligence Agency. I have my whole life been interested in doing something awesome like becoming a special agent/spy. I don't understand why, but it makes me nervous and anxious, like i was born to become a member. And I have been doubted but that will not stop me from wanting to fulfill my dream. Weather it means I start out as a janitor...( maybe that went a little to far) or start out as a spy. I think CIA is the best and dangerous Special agent of the world.CIA can make my leader country is down.So i think you must be have a agent in Indonesia when the sukarno and suharto era is down.can I to join too to be your agent in here...? My sons grandpa was c.i.a. I don't know what in the hell they did to this man. Jan. 20 th 2014 he took his gun and shot himself. Taking all the secrets with him! I've always wanted to be more than just a protector, I have wanted to uphold and keep the justice, but now I want to be apart of that 007 atribute, I want to be that spy you never herd of or that personal that you seek to destroy. I am your employer that takes care of your employees. Rep. Mike Pompeo (R-Kansas), a member of the House Intelligence Committee, was announced on November 18, 2016, to be President-elect Donald Trump’s choice to be Director of the Central Intelligence Agency (CIA). Although Pompeo represents Kansas’ Fourth Congressional District, which includes Wichita, his roots are in Southern California. He was born in Orange on December 30, 1963, to Dorothy and Wayne Pompeo and grew up in Santa Ana. He attended Los Amigos High School, where he played basketball, and graduated third in his class of 285 in 1982. Pompeo won an appointment to the U.S. Military Academy at West Point. He graduated from there in 1986 at the top of his class with a B.S. in mechanical engineering. He also was married right after graduation, to Leslie Libert of Islip, New York. After further training, Pompeo was sent to Europe, where he was a tank officer, a cavalry troop executive officer and a squadron maintenance officer in Germany. He left active duty in 1991 with the rank of captain. Pompeo’s next stop was Harvard Law School. He graduated in 1994 after having been editor of the Harvard Law Review. He then went to work for two years for the Washington law firm of Williams & Connolly, specializing in tax litigation. Pompeo moved to Wichita, near his mother’s childhood home, and founded aircraft parts manufacturer Thayer Aerospace with some Army friends. Ironically, given Trump’s stance on Mexico, Pompeo was criticized during his first congressional run for having outsourced jobs there while at Thayer. At the time, Pompeo claimed he had a confidential contractual obligation to put jobs in Mexicali. Being in Wichita also put Pompeo in proximity to the billionaire brothers Charles and David Koch, whose Koch Industries is based there. The Kochs became investors in Thayer, beginning a lucrative relationship for Pompeo. In 2006, Pompeo left Thayer (subsequently known as Nex-Tech and now as 3P Manufacturing) to become president of Sentry International, an oilfield equipment company and affiliate of Koch Industries. After representing Kansas on the Republican National Committee, Pompeo ran for Congress in 2010, getting plenty of help from the Koch brothers. The $80,000 he got from Koch and its employees made him the top recipient of money from the corporation in that election cycle. When Pompeo won first a primary against incumbent Todd Tiahrt, then the general election, he appointed a former Koch attorney as his chief of staff. Among Pompeo’s first actions in Congress was the proposal of anti-environmental legislation favorable to Koch interests. “I’m sure he would vigorously dispute this, but it’s hard not to characterize him as the congressman from Koch,” Burdett Loomis, a University of Kansas political science professor, told The Washington Post in 2011. According to The New York Times, Pompeo has received $357,000 from Koch interests over the years. He also served as a trustee for the Koch-organized Kansas Policy Institute, then known as the Flint Hills Center for Public Policy. Pompeo was a co-sponsor of the Fair Tax Act of 2011, which would have repealed the federal income tax, payroll taxes, estate tax and gift taxes, and replaced them with a 23% sales tax. Pompeo praised Apple, Google, Microsoft, Dropbox, Evernote, Facebook, LinkedIn, Twitter, and Yahoo for cooperating with federal government surveillance requests. He also suggested that NSA whistleblower Edward Snowden be given the death penalty. Pompeo served on the special committee investigating the Benghazi attacks. Pompeo savaged former Secretary of State Hillary Clinton during the hearings. And despite evidence to the contrary, Pompeo claimed in an addendum to the committee’s report that the military could have stopped the attacks. In January 2016, Pompeo co-chaired a fundraiser for presidential candidate Marco Rubio. Since being tapped for CIA chief, Pompeo has received support from many Republicans and even some Democrats, who say that Pompeo at least has policy knowledge. Pompeo and his current wife, Wichita native Susan, have a grown son, Nicholas. Pompeo has another son, Sean. Shortly after his second inauguration, however, Obama nominated Brennan to be the next DCI, and he was confirmed on March 7, 2013. He succeeded David Petraeus, who resigned following revelations of an extra-marital affair in November 2009.